Sony Are On The Verge Of Launching A Massive Advertising Campaign For The Playstation 3. You know when they said that 2009 was going to be their most aggressive holiday season yet. They bloody meant it. 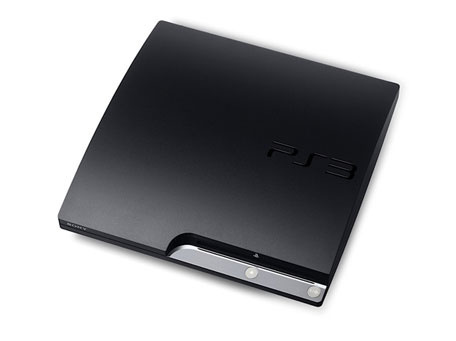 Sony have set aside a whopping £82Million ($134,388,496.78US) to promote the PS3 Slim across Europe. As reported by the Guardian the new campaign will be a massive change from Sony's traditional marketing campaigns. Instead of focusing on subtle, dark television spots (like the Japanese campaign), Sony are to use a more trendy, LittleBigPlanet-esque promotion technique that focuses on all the advantages of owning a Playstation 3. Sony have committed £6Million of promotion to the UK alone; it will mark the first major ad campaign since the Playstation 3 launched. Analysts are predicting Sony will close the gap on rivals Microsoft this Christmas. We think the new advert is definitely a step in the right direction but we'd have liked to have seen a bit more focus on some of the games. There's something for everyone on the Playstation 3 so a few extra seconds of the commercial showing off the likes of Buzz, Uncharted, Singstar, Gran Turismo and Killzone 2 would have made this perfect. Still, we're glad Sony have dropped the "unusual" marketing that they are so famous for. Back to basics is what the PS3 needs. You can check out the advert here.